We had such a lot of fun last year with The Vicar of Dibley, that we invited Chesterfield Operatic Society back to the town hall. They’re such a fun and professional company that it was a no-brainer to invite them back to banish our winter blues. With a collection of all the best songs from all the best shows, they’re certain to lighten the mood and put a spring into your step. Tickets are on sale now and you can get your hands on them at the Box Office (Bath Street), 01629 810152, for cash and cheque payments or online. £12. Doors open at 7 for a 7.30pm start. Fully licenced bar. To receive updates on our great programme of films, theatre and events, please enter your email below. 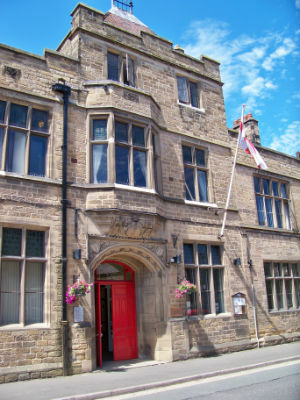 Thanks, now you'll find out first, what's coming up at Bakewell Town Hall.